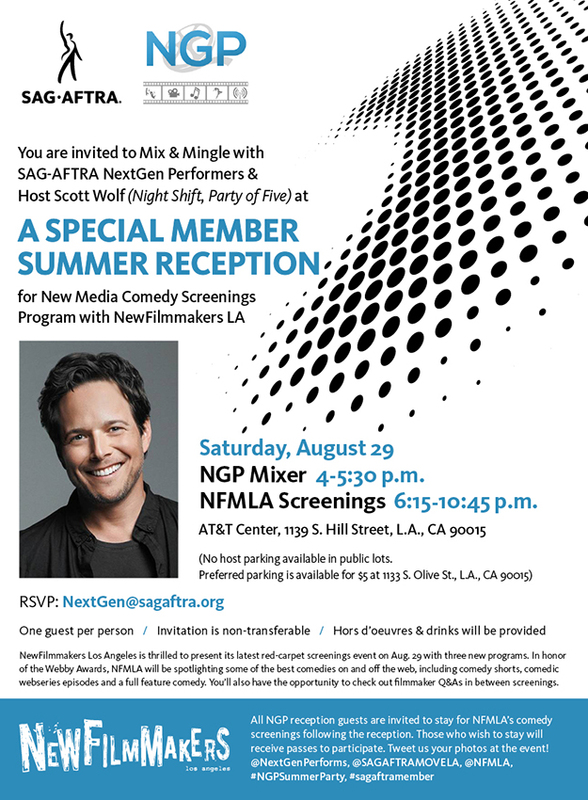 On August 29th, NewFilmmakers Los Angeles is thrilled to present its latest red-carpet screening event with three incredible new programs. In honor of the Webby awards, this month NFMLA will be spotlighting some of the best comedies on and off the web. First will be a Comedy Shorts Program that celebrates some of the best and brightest up and coming talent cutting their teeth in comedy today. Following that will be a Comedic Webseries program, featuring a sumptuous smattering of curated episodes from six different hilarious webseries from LA and across the globe. Finally, the night will conclude with a screening of feature comedy Little Paradise, which stars and was produced by a vast array of notable web talent. In between films, audiences can check out check out filmmaker Q&As, relax and meet one another in the swanky AT&T center lounge and balcony over cocktails. Tickets for individual programs are only $5 in advance for single programs and $15 for all-access VIP tickets to all three programs with complimentary beverages.